Whether you’re a college student preparing for a test or a graduate student reading for your comprehensive exams, the chances are your goal is to make the preparation process as easy and efficient as possible. You might believe, for example, that rereading key chapters of a textbook repeatedly will help you remember the material — and doing so does not require much effort — but research findings have documented that tactics that are more demanding, such as spacing your study sessions and switching between topics, are more effective. 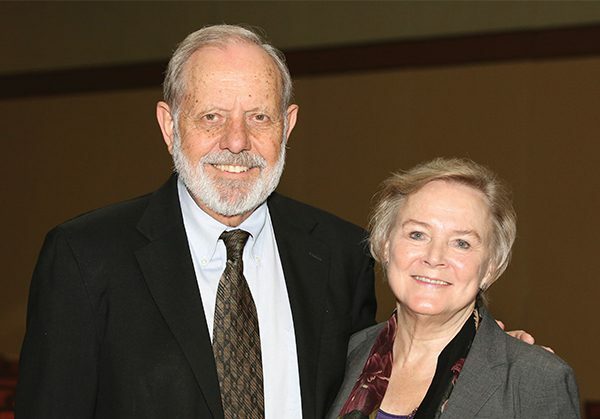 At the 2016 APS Annual Convention in Chicago, APS James McKeen Cattell Fellows Elizabeth L. Bjork and Robert A. Bjork, an APS Past President, discussed these and other “desirable difficulties” that learners can introduce to make their studying more productive. The Bjorks are longtime collaborators and coprincipal investigators of the Bjork Learning and Forgetting Lab at the University of California, Los Angeles (UCLA), but they haven’t always been able to work together on their shared research interests. “Our careers span the decades across which couples couldn’t be in the same department, and then later, if they were in the same department, couldn’t work on the same topics,” Robert noted in his introduction. It wasn’t until 23 years after they were married that the Bjorks coauthored their first paper and began collaborating more frequently. Their research focuses on how we learn versus how we think we learn and on the implications of this research for the optimization of learning and teaching. They have examined why we are subject to illusions of comprehension when studying; why our ability to access needed information and skills at some later time can fall short of our expectations; and, perhaps most importantly, how we can employ counterintuitive learning strategies to enhance the retention and transfer of to-be-learned skills and knowledge. One of the Bjorks’ primary research goals is to understand, from a metacognitive standpoint, why people continue to study and practice in counterproductive ways such as by massing, rather than spacing, repeated study sessions; rereading highlighted passages rather than drawing on the power of self-testing; and blocking, rather than interleaving, the study or practice of the separate components of some studied knowledge or skills. They have found, among other things, that people can be misled by their performance during the learning process, which can be assisted by conditions that are present in the instruction environment but are unlikely to be present in a different place and time when the information is needed (e.g., during a test). For that and other reasons, performance during an instruction or training process is often an unreliable — and sometimes entirely misleading — index of whether learning, as measured by long-term retention and transfer, has happened. To illustrate the point, Robert reported an experiment in which participants practiced three different keystroke sequences, each of which involved striking a set of keys in a certain order and in a prescribed time. Some participants received blocked practice, meaning that they practiced each sequence in turn, whereas other participants got interleaved practice, meaning that, while they received the same number of practice trials, the trials on a given pattern were interspersed randomly among the trials on the other sequences. Based on prior findings, Robert and psychological scientist Dominic A. Simon (New Mexico State Unviersity) knew that blocked practice would yield better performance during the training but poorer retention on a later test; however, they wondered whether the participants would interpret their performance during practice as an index of learning. Intermittently during the practice session and again right before a criterion test was administered the next day, the participants were asked to predict how close they could come to executing each pattern within its prescribed timing. They predicted the exact opposite of their subsequent performance: Those who had studied in blocked sessions predicted they would do well — better than those who had studied in an interleaved manner predicted they would do — but the results showed the opposite. As summarized by Robert, “What we can observe is performance, but what we have to infer is learning, and that makes us subject to possible illusions of comprehension,” such as the mistaken belief by these participants that the good performance on an immediate test following blocked practice arises from effective learning. Elizabeth mentioned that similar considerations apply to the benefits of spacing, rather than massing, repeated study opportunities. 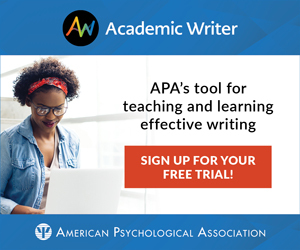 “That spacing of study attempts is an effective way to create long-term learning is one of the oldest and most robust findings in research on learning,” she reported, “but students are not typically aware of the power of spacing for long-term learning, most likely because the benefits of spacing only appear after a substantial retention interval.” If the test occurs shortly after studying, massed practice often results in better test performance than does spacing. In other words, although massed practice can produce good short-term performance (and thus students may feel that such studying produces good learning), their memory for that material is soon lost. In contrast, the learning obtained with spaced practice can last much longer. Every student is familiar with massed practice by its typical name, “cramming” (e.g., staying up all night studying for a test the next morning). When students engage in cramming, they typically just read the material or chapters that will be tested repeatedly until it is time to take the test. Such massed practice can produce good performance on that immediate test, but it won’t generate long-term retention of the studied information. The key to good test performance and long-term retention is spaced practice. The Bjorks also have found that learners are subject to counterproductive beliefs and assumptions. Errors, for example, are assumed to reflect inadequacies of the learner, the teacher, or the teacher’s methods rather than being viewed as a necessary component of maximally effective learning. In addition, differences in performance between individuals can be overattributed to innate differences in ability or intelligence, whereas the power of experience and practice is often underappreciated. forgetting, rather than undoing learning, which creates conditions necessary to reach new levels of learning. The Bjorks also expanded on what has become an unpopular topic for many educators: testing. “We don’t talk about tests because there’s a very negative bias about tests among teachers … so we’ve come to say ‘retrieval practice’ rather than test,” Elizabeth said. “But there are a lot of virtues” associated with using tests as a teaching strategy. For example, tests can increase learners’ recall ability; being asked to retrieve information is more effective than simply being presented with that information again. That information becomes much more recallable in the future than it would have been otherwise, because recalling correct information helps to inhibit incorrect information associated with the same cues, thereby reducing interference. In addition, tests provide important feedback with respect to what we have and have not learned. Interestingly, although teachers may not always be enthusiastic about administering tests, students do develop an appreciation for one of the benefits of testing: “The one thing students do seem to understand is that testing will identify what they’ve learned or not,” Robert said. Yet getting learners to adopt evidence-based study strategies is not an easy task. Robert noted that, given the choice, most people will choose to learn in blocked sessions, not only because blocked practice can create an illusion of rapid learning but also because their teachers and trainers have so often blocked instruction or practice by topic or task. When he and his colleague Nate Kornell, of Williams College, polled students in introductory psychology classes at UCLA, only 20% said that someone (e.g., a former teacher or friend) had given them study advice. Whether that was good advice is questionable, Robert added.